The electric car maker, NEVS, has invested €150m for a 20 per cent share of Koenigsegg in a technical partnership with the hypercar maker. In an effort to develop new, higher volume models with a slant towards electrification, Koenigsegg paired up with fellow Swedish electric car manufacturer, NEVS. The €150m (£130m) cash injection will see NEVS receive a 20 per cent minority share in Koenigsegg’s parent company as they also create a new joint venture between them. 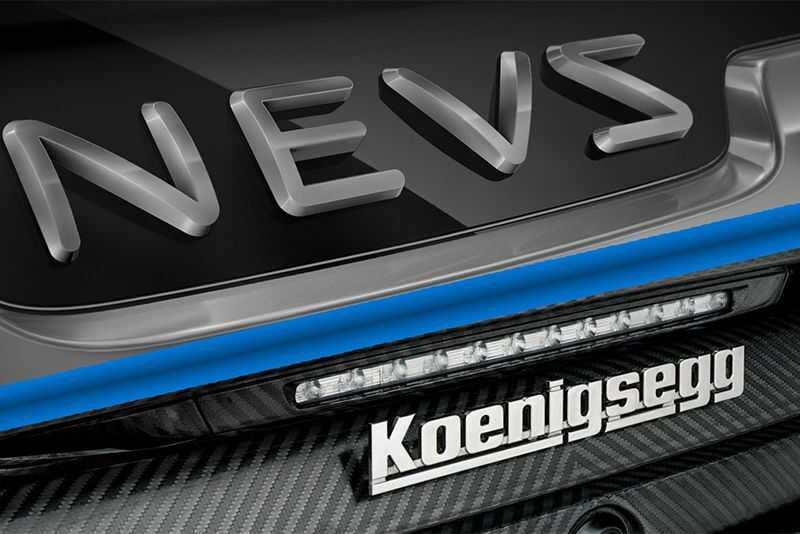 NEVS is to contribute an additional $150m (£113m) for a 65 per cent share in the venture, with Koenigsegg holding the remaining 35 per cent. The latter will be made up of its intellectual property, technology licences and product design. There have been no details regarding what this joint venture will produce but expect the result to be a product utilising the strengths of both companies. It's quite an obvious leap to expect a high-performance fully electric hypercar in the near future, and the extra manufacturing capacity at NEVS’ production facility in Trollhättan will serve higher volumes of Koenigsegg's rolling off the line. According to evo UK, "NEVS also has further manufacturing capability within China, and just last week announced its parent company, Evergrande’s, acquisition of Chinese battery manufacturing company, Shanghai CENAT New Energy Co, further closing the supplier loop required to develop and manufacture electric cars." As these events unfold, we'll undoubtedly see a diversification of the Koenigsegg range within the hypercar market, which has already started with the hybrid Regera, although the soon to be launched, track-focused Agera replacement (known internally as the ‘Ragnarok’) will still be free of electric power. There's no doubt a healthy injection of cash and knowledge-sharing partnerships will see Koenigsegg take the next step in hypercar mobility. Porsche Preps For The Future Of Their Electric Cars In Berlin! Video: Meet The Dendrobium, Singapore's First Hypercar. An Electric Monster Packing 1000hp!